When dealing with financially distressed businesses, our Bankruptcy, Workouts & Business Reorganization attorneys successfully assist lenders, trustees, committees, insurers, secured creditors and unsecured creditors to protect their contractual rights and legal interests. Our attorneys also represent debtors in Chapter 7, 9, 11 and 15 cases, effectively reorganizing or in some cases liquidating them. Our clients include individuals and public and privately-held companies, both domestically and internationally, who value our strategic advice and experience. 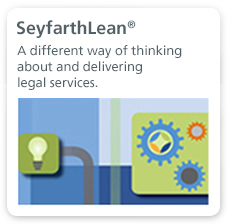 From large-scale, complex restructurings involving multiple business operations to smaller closely held companies, we rely on our wealth of legal and industry knowledge to provide reliable high-quality innovative services. We distinguish ourselves from other bankruptcy practices by offering litigation, distressed finance, and mergers and acquisitions expertise. Our litigation services include maximizing claim recoveries for creditors as well as protecting and enforcing interests of individuals and companies that have relationships with troubled entities. We are particularly well suited to represent insurers in mass tort Chapter 11 reorganizations, often leading groups of insurers in negotiating complex insurance neutrality provisions and analyzing and advising on the propriety of Bankruptcy Code section 524(g) channeling injunctions. We also assist distressed companies seeking financing such as debtor-in-possession financing or asset based lending, and we reorganize these same debtors by helping them to restructure as viable companies. With respect to distressed mergers and acquisitions, we identify opportunities for investors and match distressed companies with potential acquirers. Our bankruptcy transactional practice also includes advising clients on the purchase and sale of distressed assets. No matter the situation, our job is to maximize value for our clients and provide long-term business solutions. By accessing the firm’s national and international resources and working as cross-disciplinary teams, we staff, manage and resolve complex restructuring matters in a cost-effective manner. 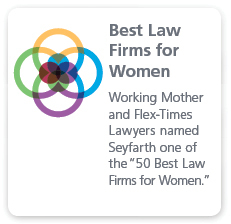 Our Bankruptcy, Workouts & Business Reorganization attorneys draw on experience from Seyfarth’s real estate, corporate finance, mergers and acquisitions, environmental, labor and employment, and litigation attorneys throughout the firm to develop the right solutions for clients facing complex transactional and litigation issues. We constantly seek ways to minimize delays and costs, and explore opportunities for resolution and continued business viability through alternative and mutually acceptable remedies. We collaborate with our clients to develop a scope and definition of the work we do, which results in complete transparency and cost predictability. 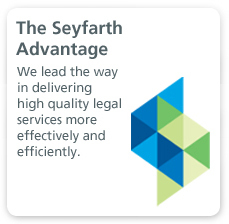 At Seyfarth, we not only handle the immediate emergencies associated with bankruptcy and insolvency, but we also focus on strengthening our clients’ future positions and counsel them on how to strategically avoid financial crises and related litigation.